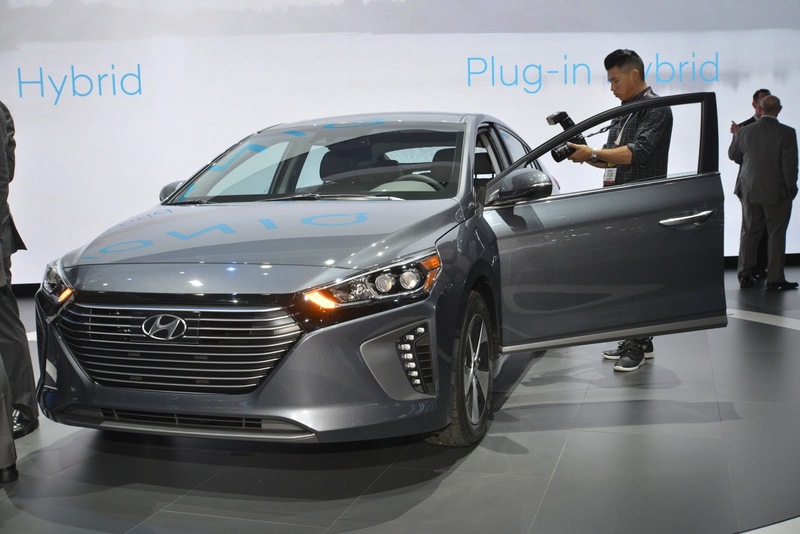 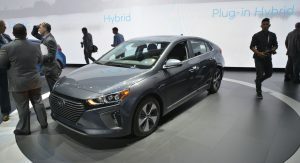 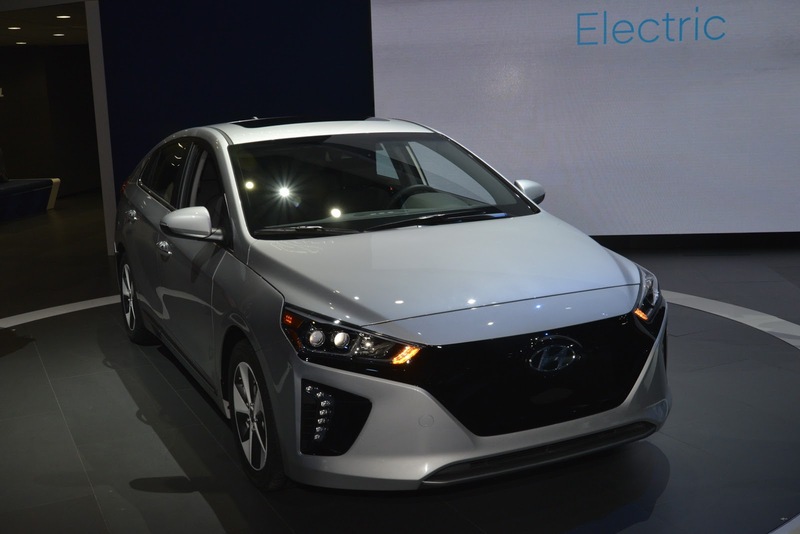 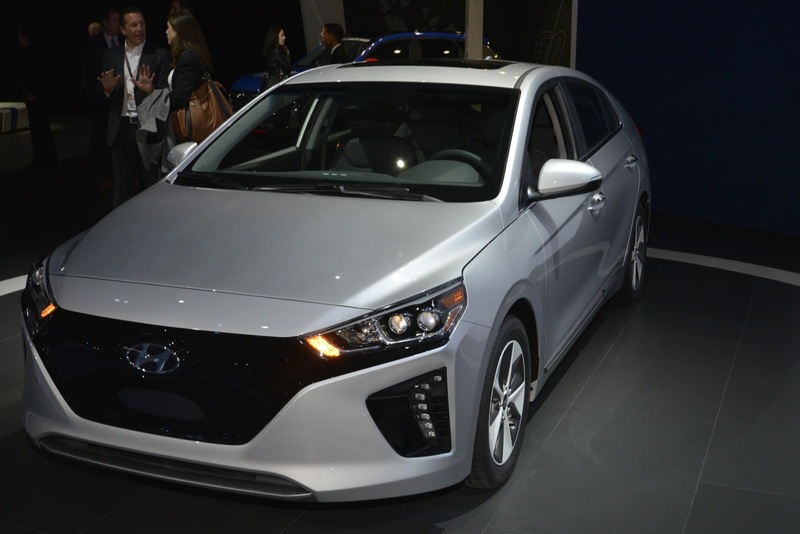 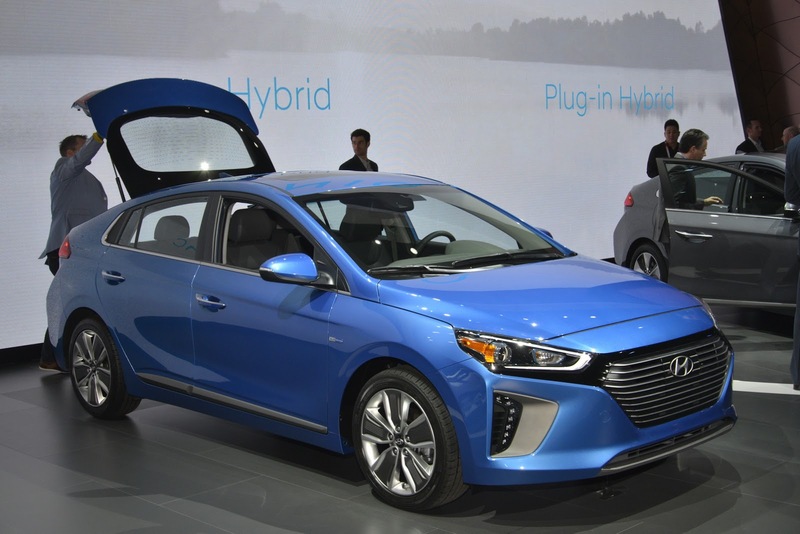 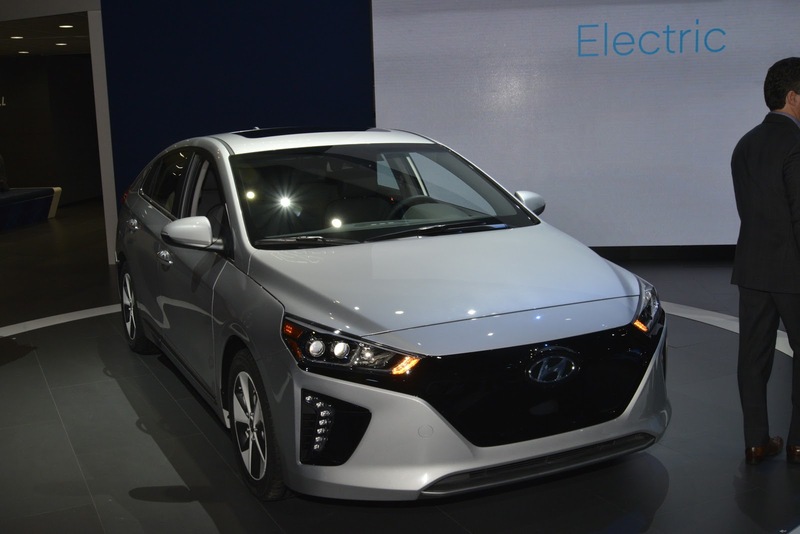 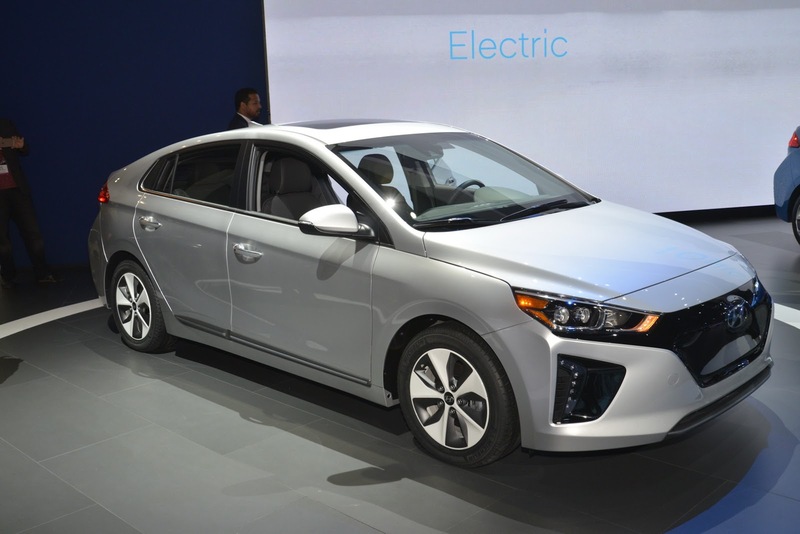 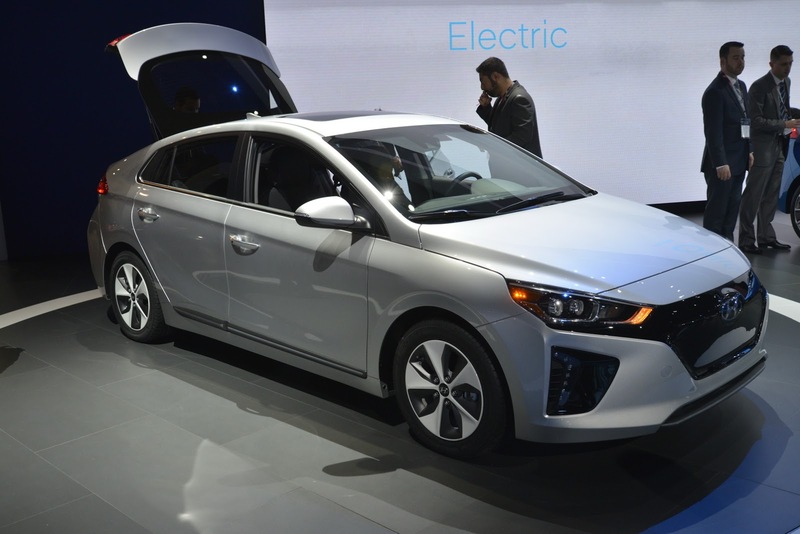 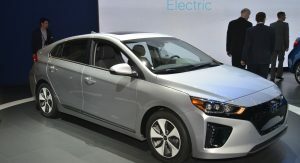 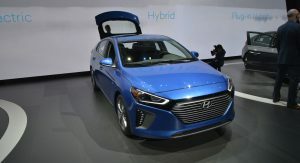 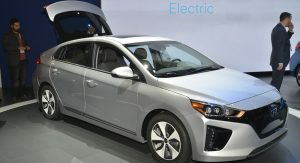 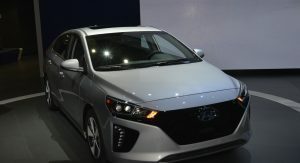 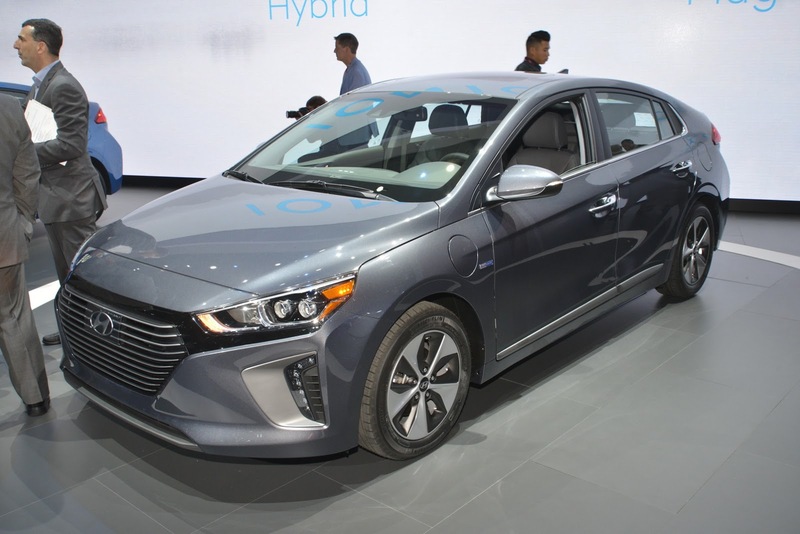 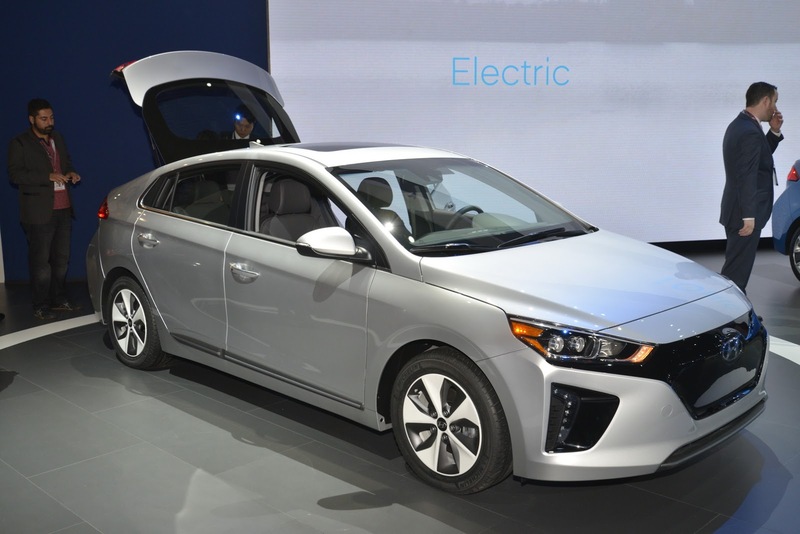 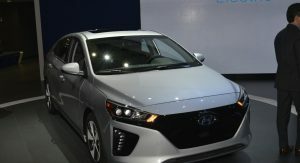 Even though Hyundai will be selling the Ioniq as a Hybrid and a PHEV model, it’s the pure electric version that’s undoubtedly the most “future proof”. 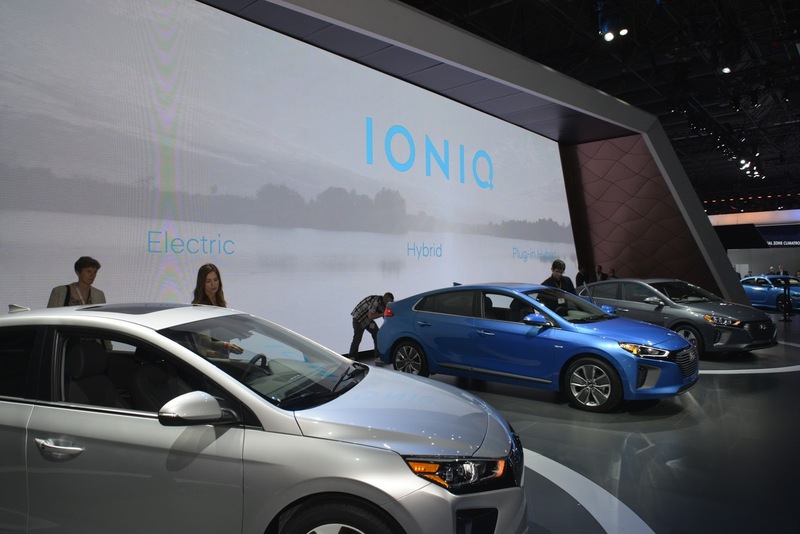 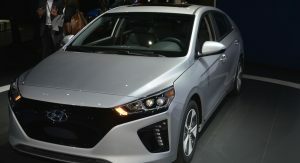 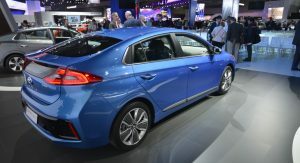 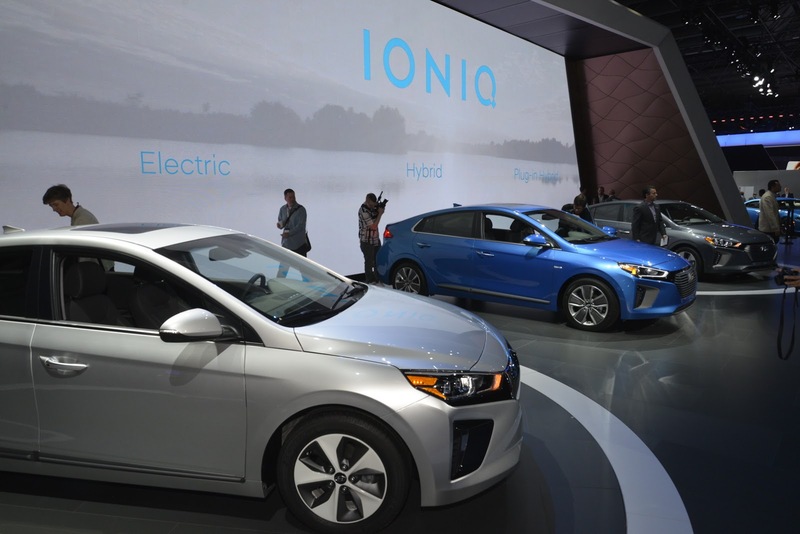 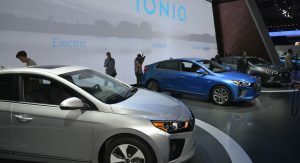 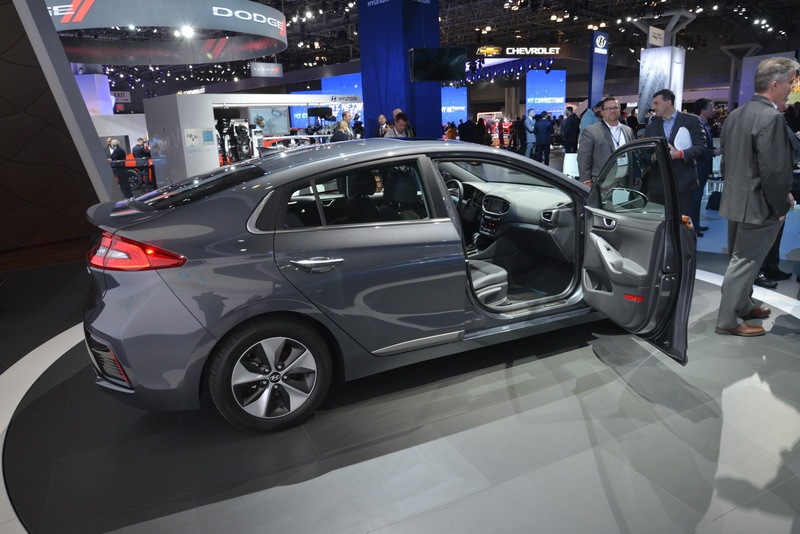 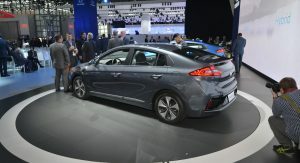 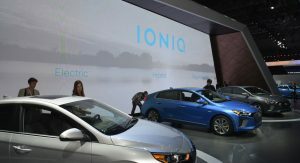 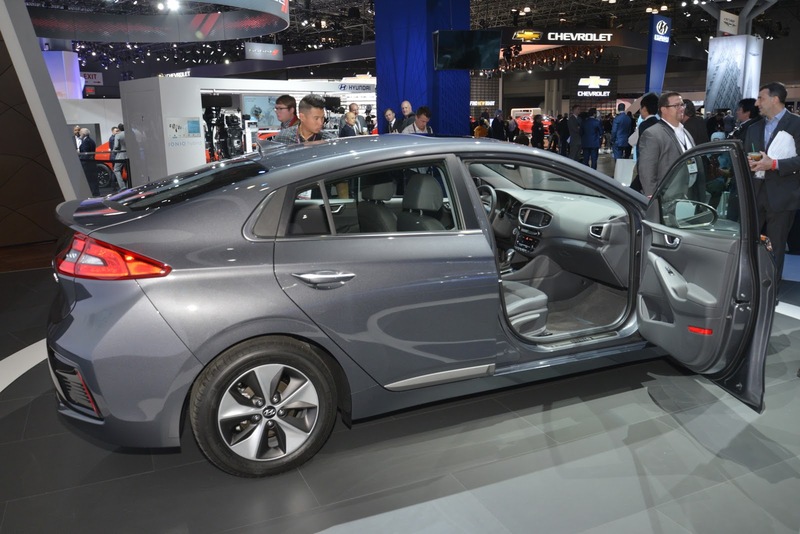 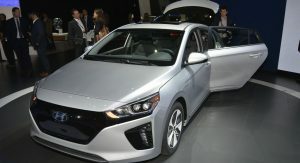 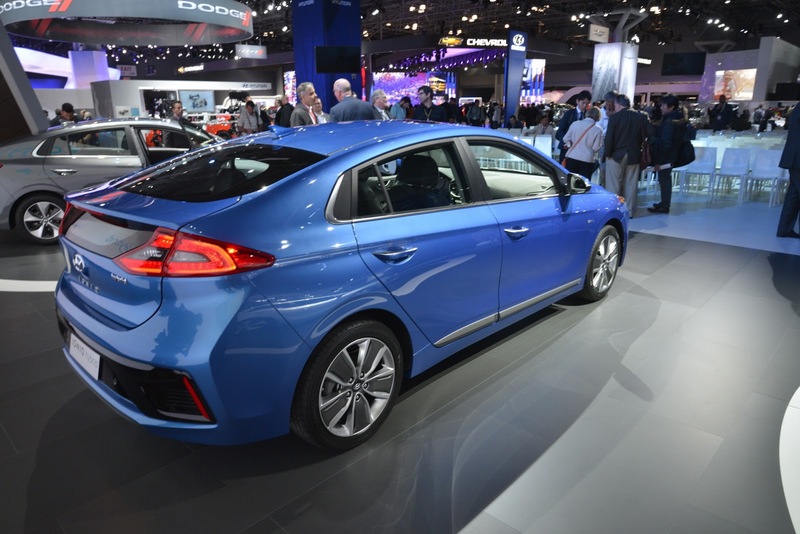 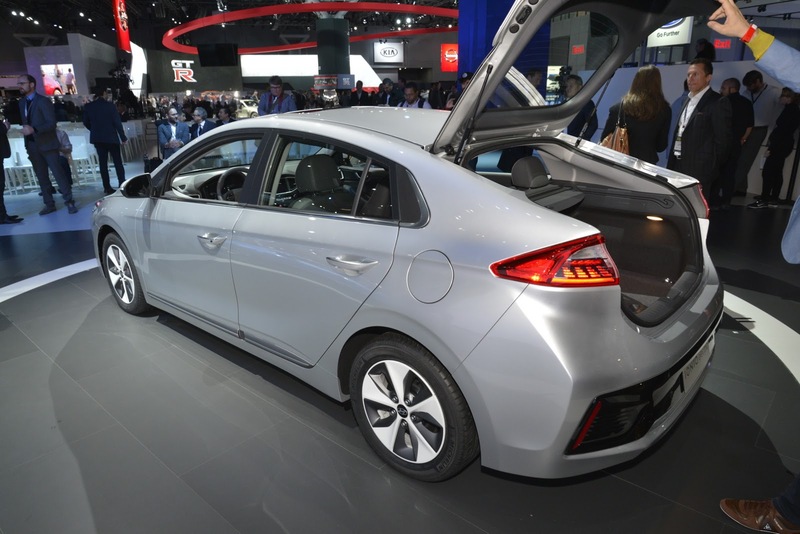 This is the Ioniq’s second motor show appearance after making its global debut in Geneva a few weeks back, and now that it’s found its way to the US, the likes of Toyota, Nissan and Chevrolet need to watch out. 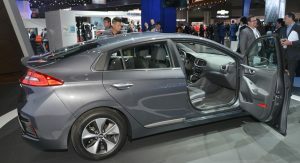 Hyundai is doing something truly unique when it comes to this car. 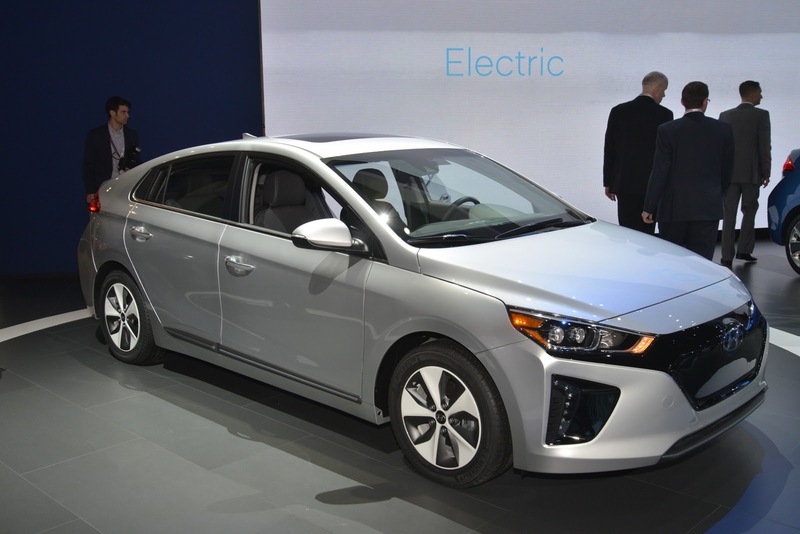 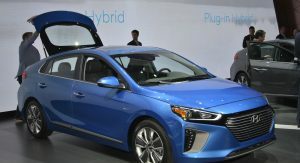 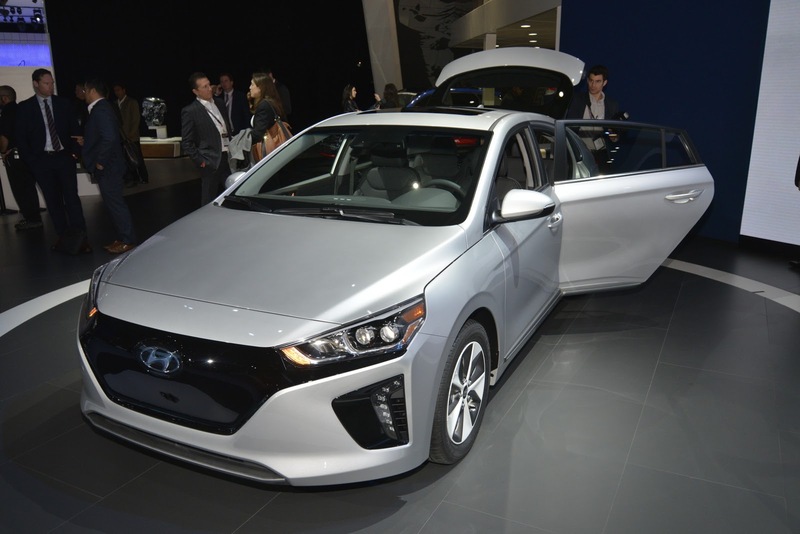 Unlike the Prius, and unlike the Leaf or the Volt, the Ioniq is available in three distinctive energy-efficient powertrain versions, which means that customers are no longer limited to just one type of fuel-efficient car. 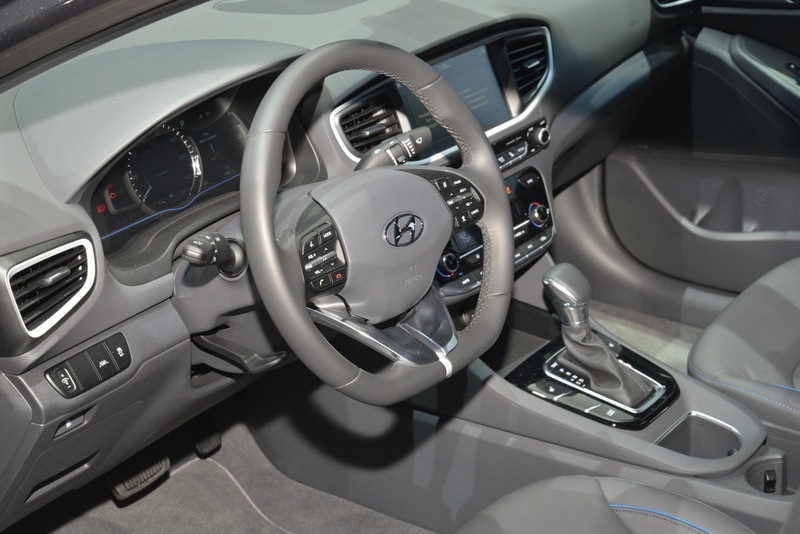 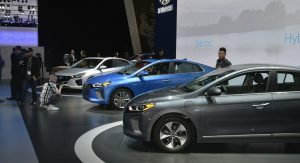 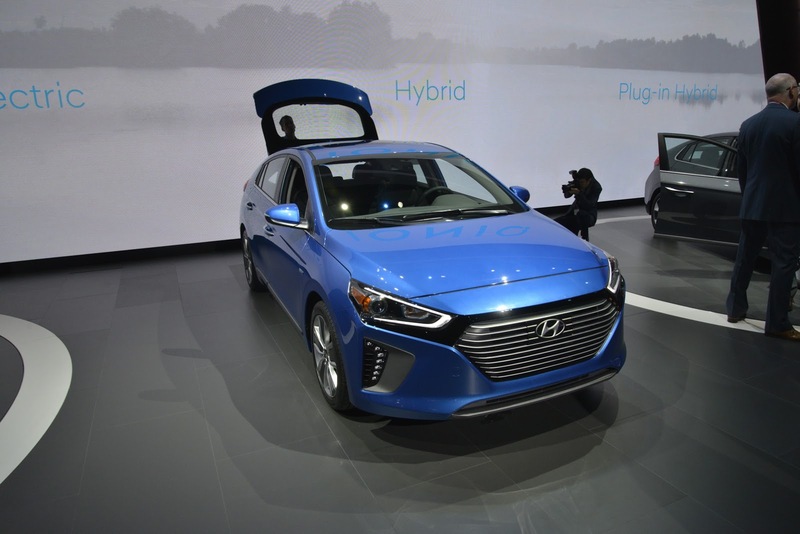 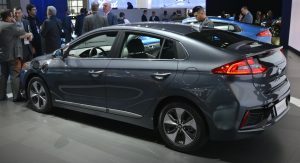 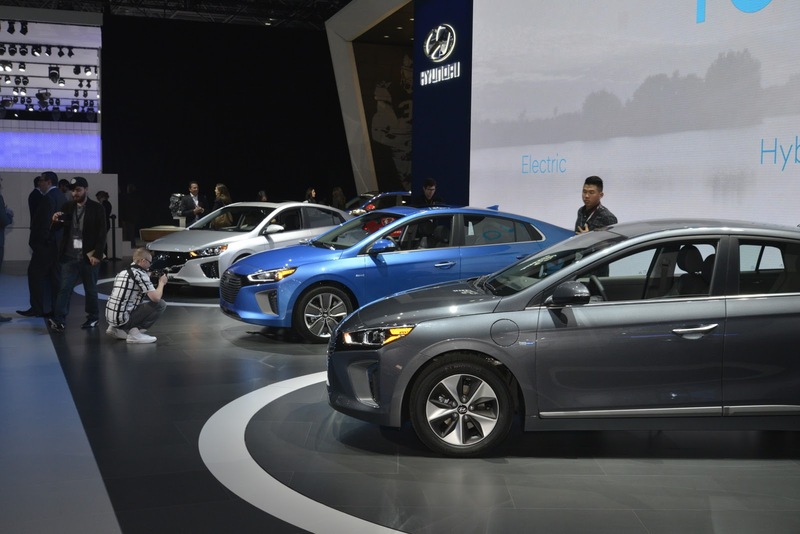 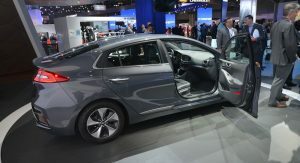 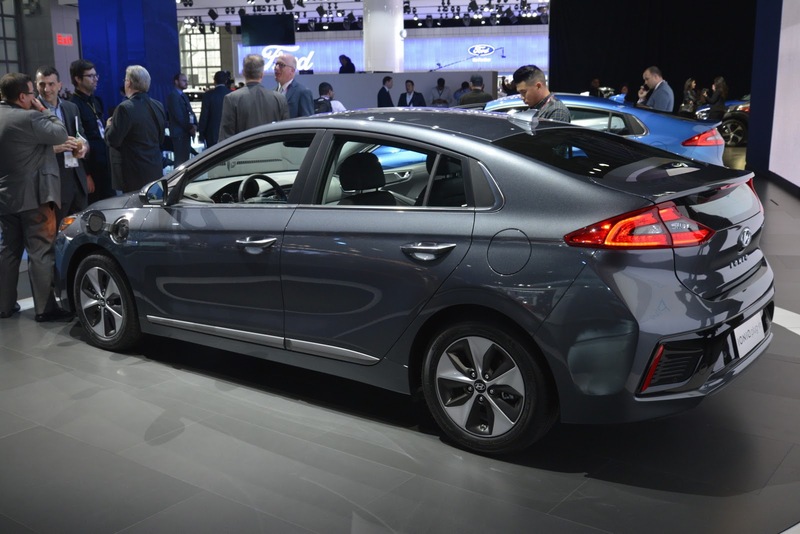 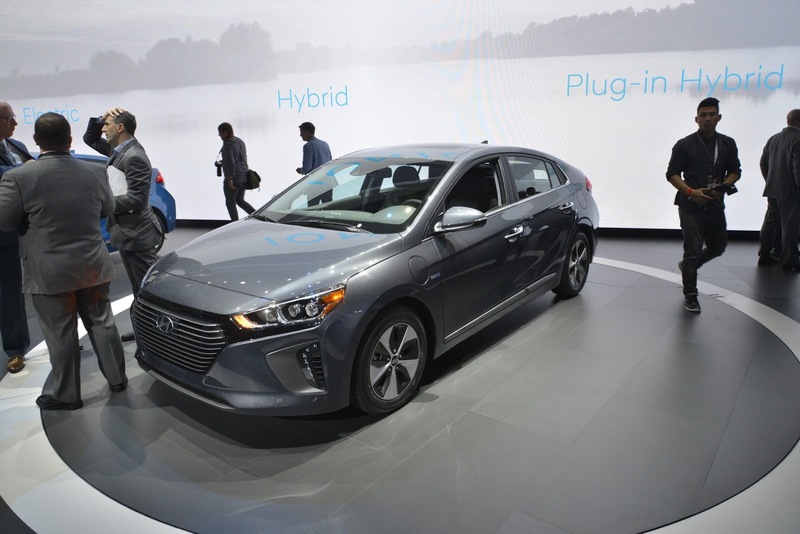 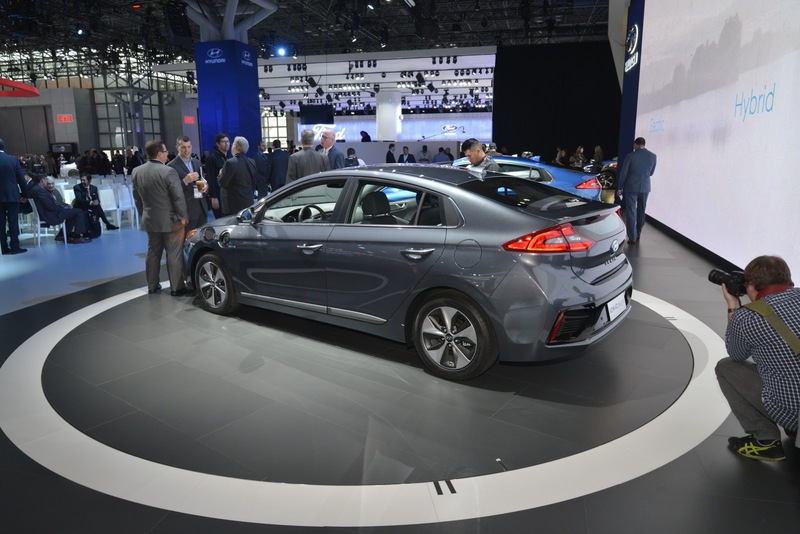 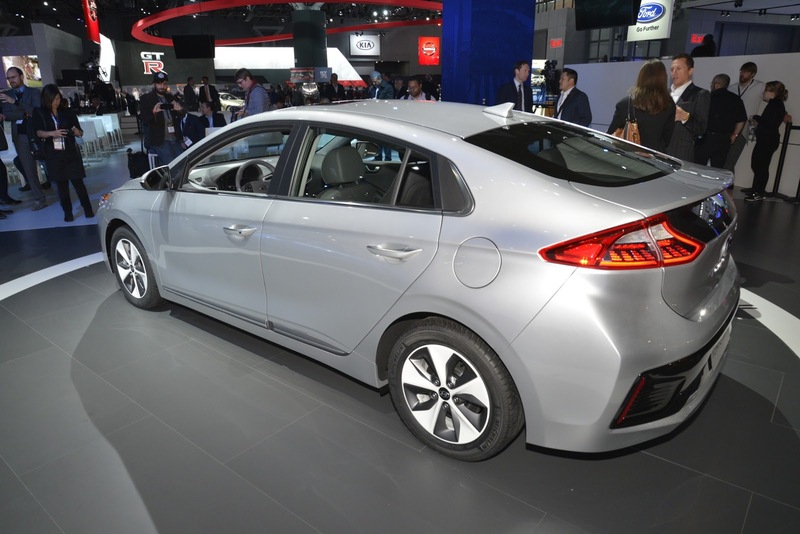 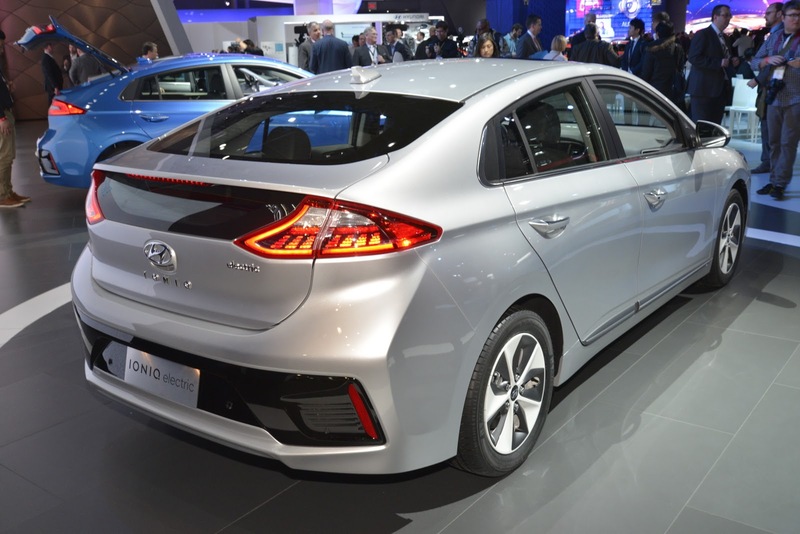 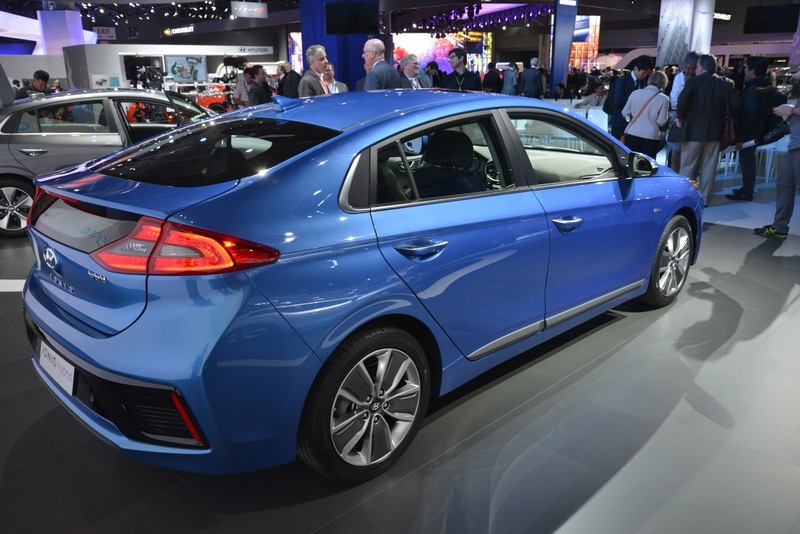 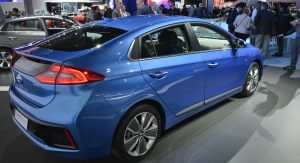 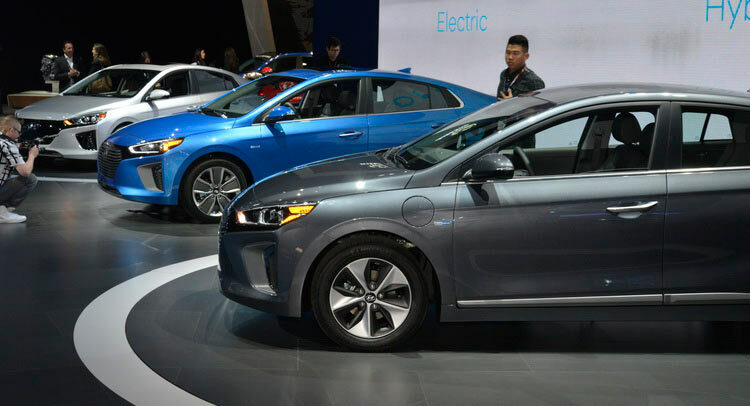 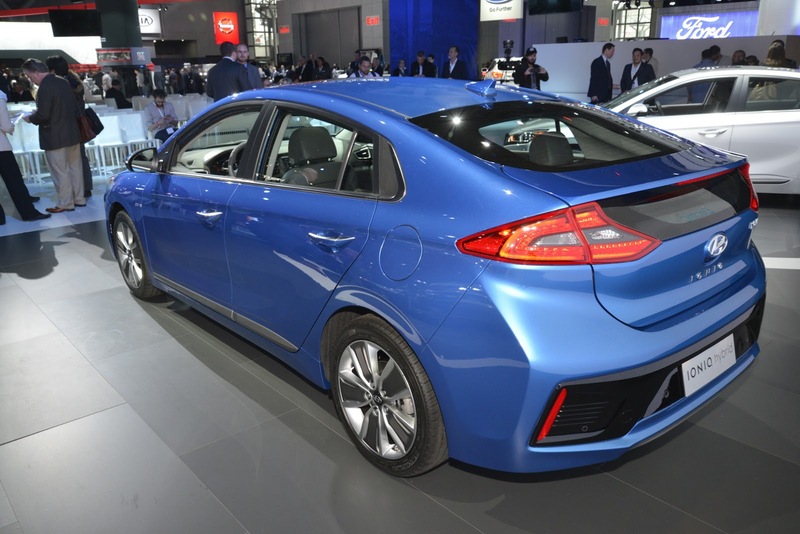 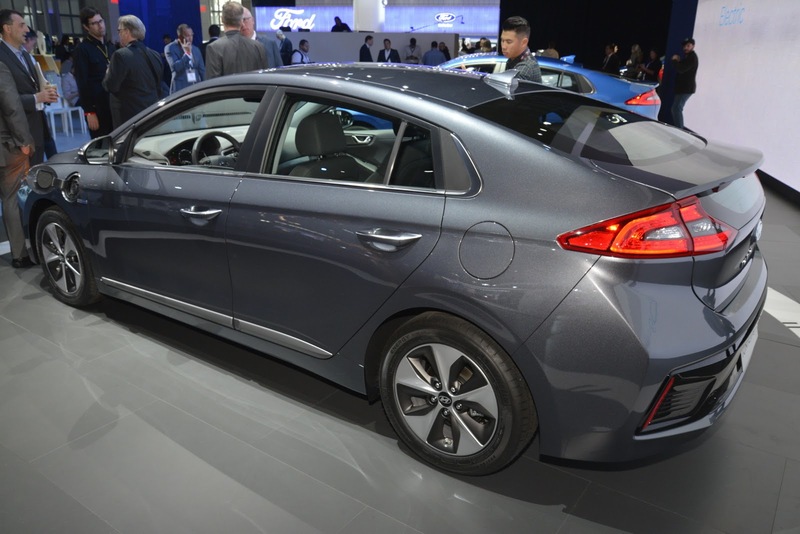 On the other hand, since there’s an Ioniq out there for everyone, Hyundai needs to focus its efforts and resources in three different directions, which sounds a bit counter-intuitive since we pretty much know where the automotive industry is heading. 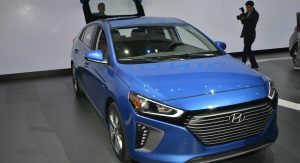 But even if we were to focus only on the all-electric version, we’d certainly walk away impressed due to its maximum (estimated) driving range of 110 miles (177 km). 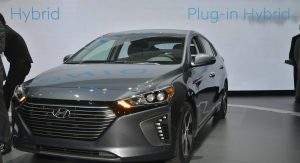 Even the PHEV model can drive on pure electricity for 25 miles (40 km), and that’s not just better than what the Prius can muster, but even better than the recently unveiled Prius Prime PHEV. 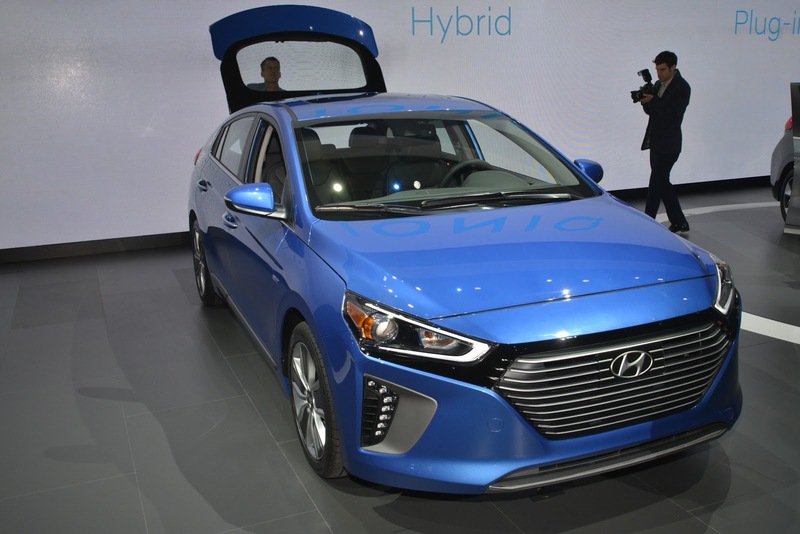 As of right now, it seems car enthusiasts in general are enjoying pointing out how the Ioniq is a better-looking car than the Prius, and if we add that to its already impressive numbers and range diversity, we might say that Hyundai have struck a bit of gold here. 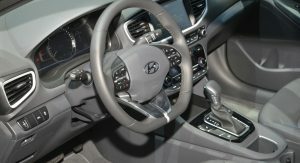 Kudos to Hyundai. 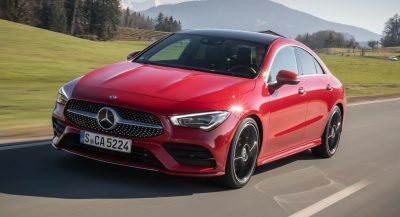 They’ve smoothly muscled their way into the market, and its only a matter of time before they will be considered top 3 non American luxury brand displacing either Nissan or Honda. 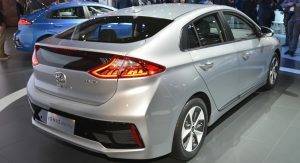 Not sure how Honda feels – Honda introduces the Hybrid and Toyota takes all the credit. 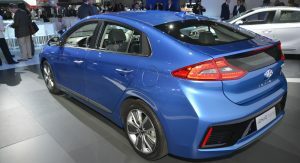 IMHO Hyundai has the advantage of starting from the bottom and going up. 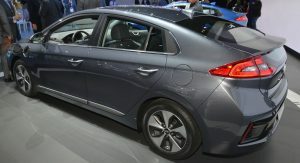 Now it seems with every new car (or redesign) they leap years ahead of their previous offering. 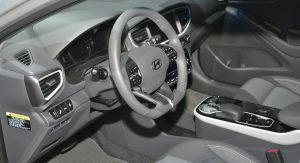 Looks great ! 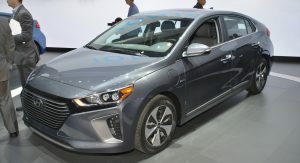 I still have no idea what the HeII toyota was thinking with that new prius . 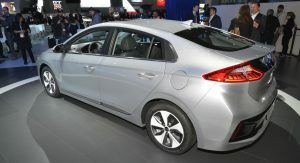 The toyota Prius has to be the most ugly car design I have ever seen. 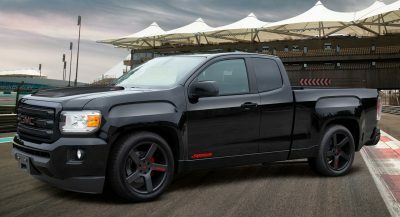 It make the pontiac aztek look like a runway model ! 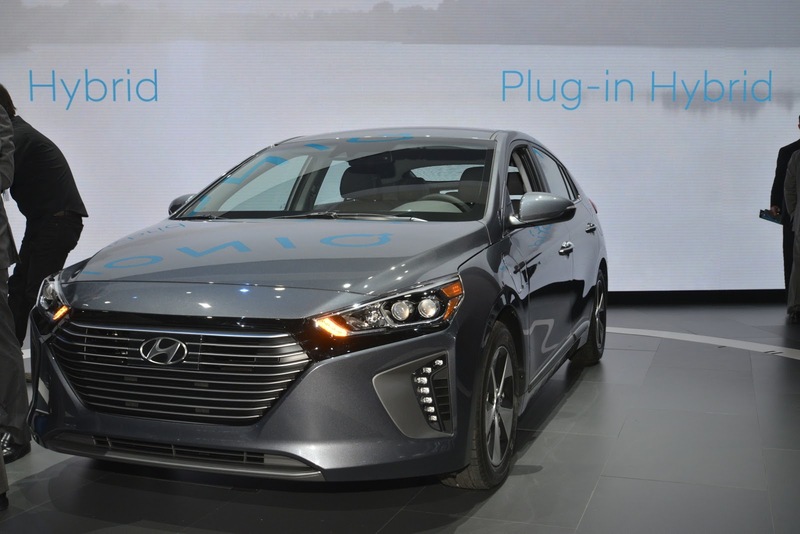 I am glad Hyundai made their hybrid a nice looking car. 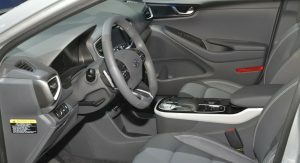 Is the public allowed to sit in them? 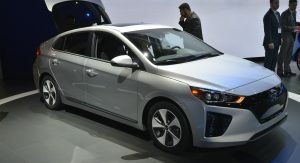 or will they be locked? 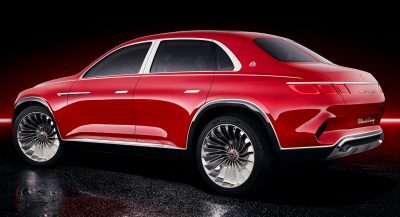 I’m gonna be going to the NY auto show next week. 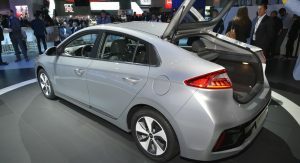 I’m going sunday. 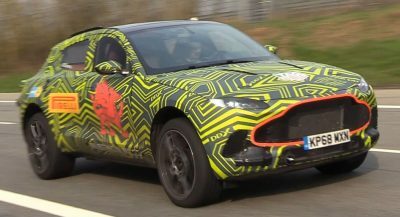 I’ll let you know. 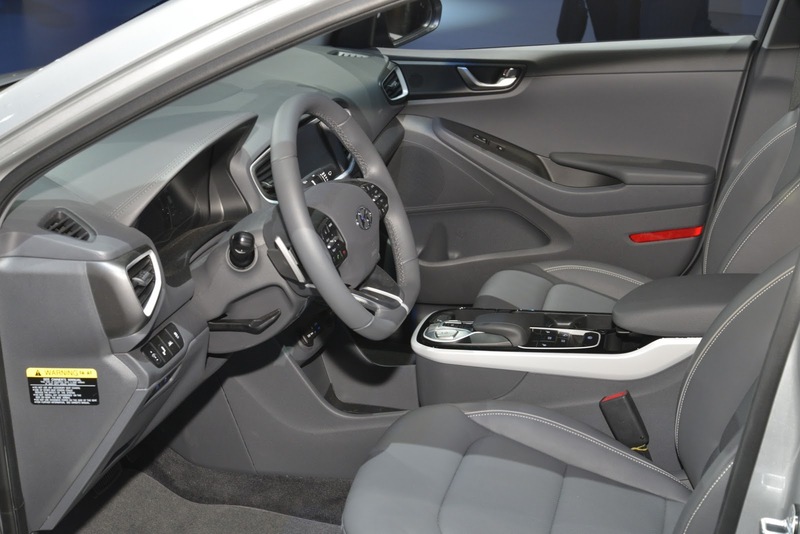 The new Prius may be a bit frightening inside, but the interior is all future-y and can come in whitish and gray. 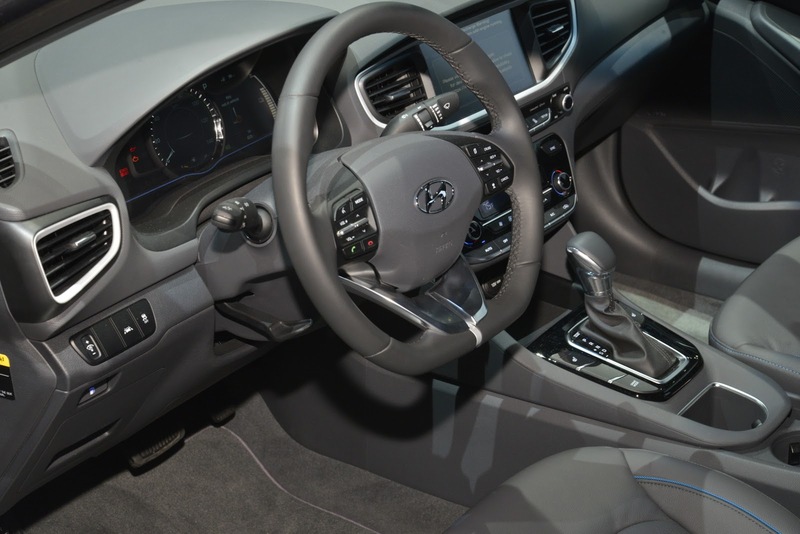 This Hyndai interior looks like any Asian econobox sea of gray from the past twenty years. 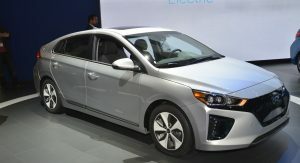 A hybrid I would actually feel no shame driving. 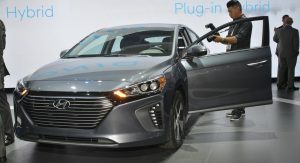 It may seem counter productive (though it’s not really “three directions;” it’s 3 levels of electrical assistance), but many potential buyers live in apartment complexes with no electrical access for a PHEV or BEV.